Drawing is education in looking, precise observation and precise representation not of the external appearance of an object, but of its constructive elements. Drawing exposes the laws that govern the forces and the tensions that can be discovered in given objects and of their logical construction. Relationships in the two-dimensional used as introductory step leading to the three-dimensional. It has been my experience over many years of teaching drawing to all categories of designers that the drawing strategy to building form and the investigative sketching are much needed in the professional studio practice in later years. In my courses I assign renewed tasks to the observation, to understanding and analysis of the man-made and natural worlds, to the sketching experiences. 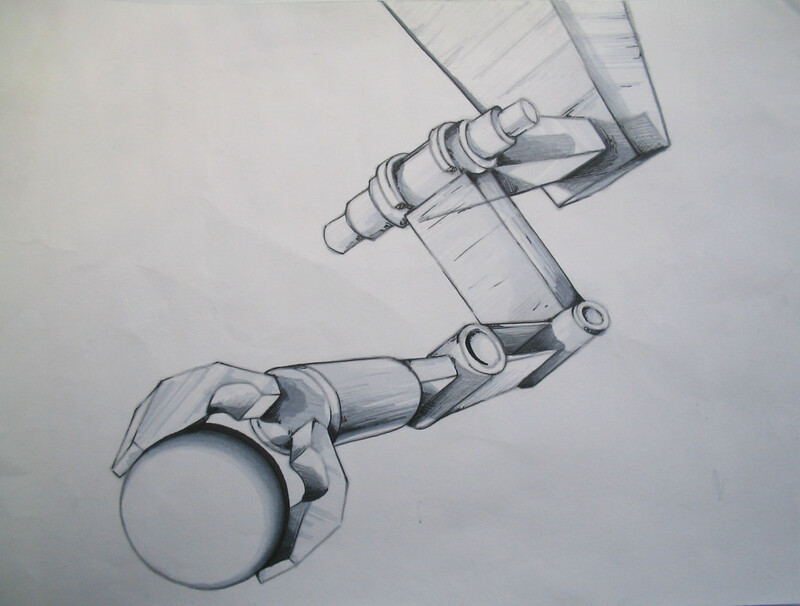 By thorough research of the role of the “inner eye”, combined with knowledge in parallel with 3D disciplines and construction techniques, we go beyond the pragmatic purpose of sketching / drawing. It becomes a tool for visualization and planning. Through my research and teaching practice I have created original lecture material, projects and tutorials to transform the drawing for designers into a mind expanding course and studio in which students respond with ideas for a contemporary material and humanistic civilization. The courses offer a structured approach to learning specific techniques. In just ten hours over five weeks you will gain confidence to use your improved skills. The courses offer strategy for early (pre-college) academic advising for prospective students enrolling in design disciplines. 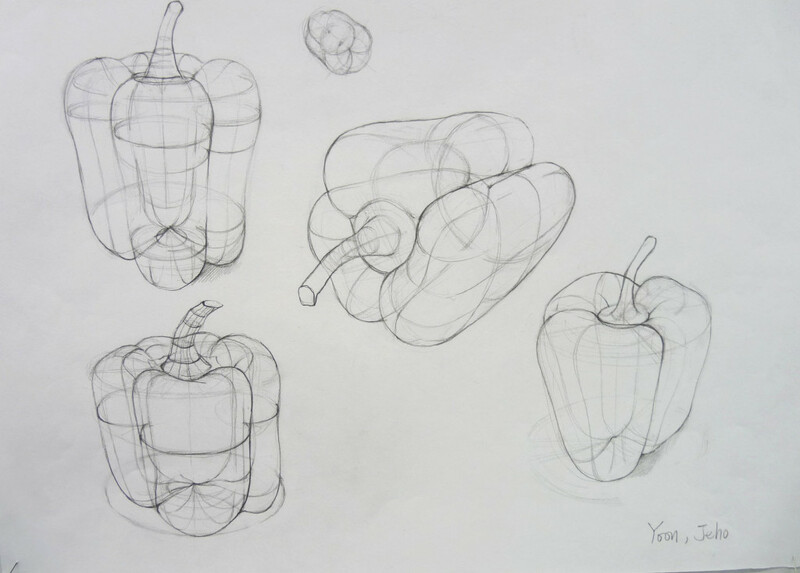 Creative Drawing 1 – Beginning with basic three-dimensional geometric constructions, students explore the abstract world of space and solids as a foundation for three-dimensional creative work. Perceive and construct valid form and space, light resolution and surface modeling. 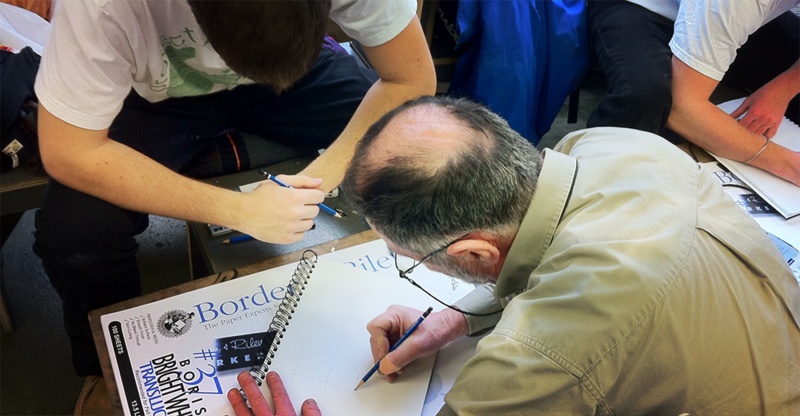 Creative Drawing 2 – To be regarded as a field of further study of the basics with a gradual and systematic penetration in the initial stages of the design process. It acts as a starting point from which subsequent relationships and consequences can be derived. Materials: graphite, marker.